Sharks are an extraordinarily successful species. Approximately 200 million years older than the dinosaurs, they have survived into the present day by being perfectly evolved to fit their niche in the environment: as one of the sea’s top predators. Even so, sharks rarely attack humans—and when they do, it’s usually out of confusion rather than aggression or hunger. Only approximately 100 shark attacks happen per year, and of those, only about 10-15% prove fatal—making sharks far less dangerous than crocodiles, tigers, snakes, and lions. The chances you will ever be bitten by a shark are slim to none. However, if you do happen to get very unlucky, here are a few things you should know. Most shark attacks fall into this category. Sharks primarily eat fish, seals, and other sea creatures; when a shark bites a human; it’s usually because they are mistaking you for one of these. 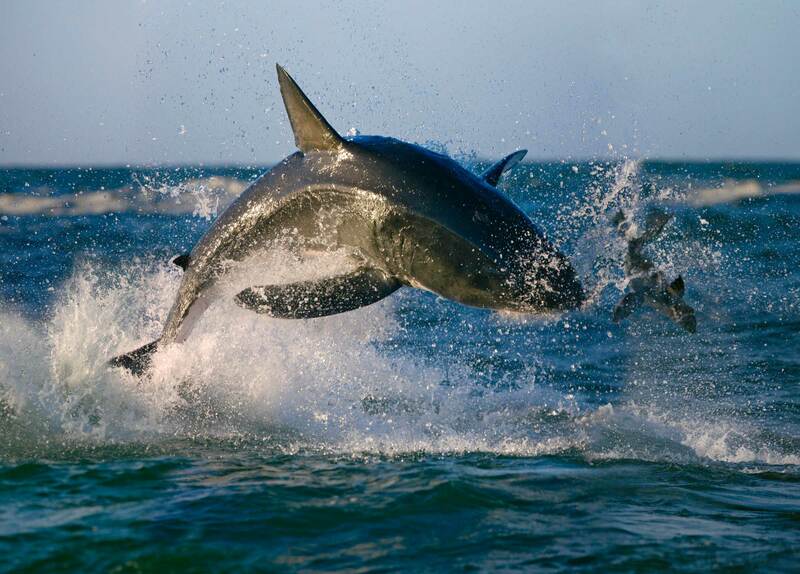 In this type of attack, the shark takes one bite, realizes you aren’t exactly a tasty meal, and doesn’t come back for more. In this attack, the shark bumps against you with its nose before taking a bite. 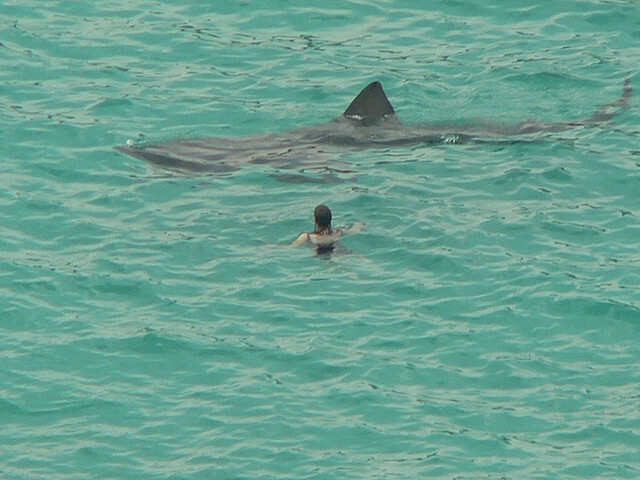 Some experts think this is for a similar reason to the hit-and-run—the shark is investigating to see whether you’re a log, floating debris, or something it can eat. It follows up with bites after this; these are usually more severe than with a hit-and-run. During a sneak attack, the shark attacks without warning and bites aggressively multiple times. While you are unlikely to be bitten by a shark, numbers of sharks in the water are rising in some areas due to conservation efforts—numbers of great white sharks in particular are going up. Only about 40 species of shark are known as likely to attack humans, although other species have been recorded to bite humans out of confusion as well. In general, assume any shark about six feet in length will bite—unless it’s a nurse shark or megamouth, both of which feed on plankton. Don’t go into the water at dawn, dusk, or at night when sharks are most active. Avoid unclear water. Sharks will have a harder time distinguishing you from prey. Swim in groups. 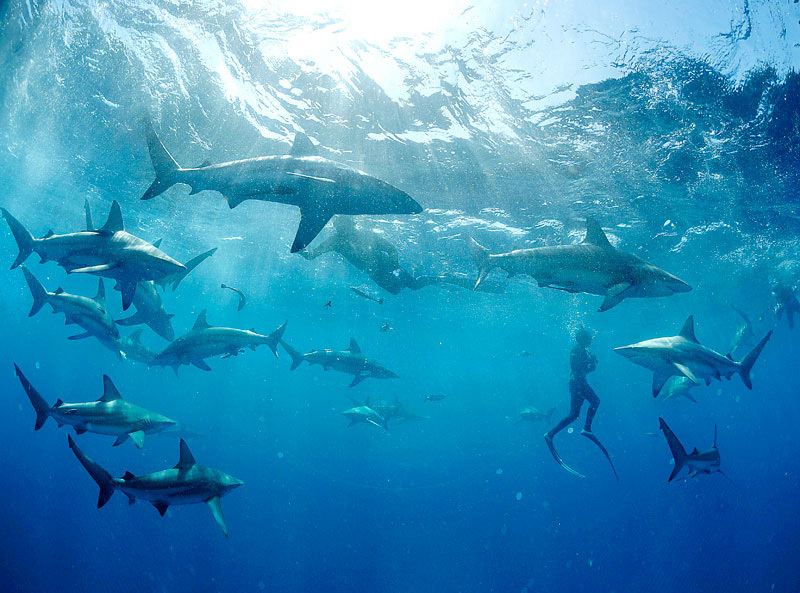 Sharks are more likely to approach a single swimmer. Don’t splash, make loud noises, or bring your pets in the water. Lots of erratic movement and splashing can make you look like a distressed seal—the shark’s favorite prey. Stay out of the water if you’re bleeding, including if you are having your period. Don’t swim where people are fishing. Their bait may attract sharks. Avoid wearing shiny jewelry or fabrics while swimming. These can look like fish scales to sharks. Stay vertical in the water as much as possible to keep from looking like a swimming seal or large fish. Stay away from steep drop-offs or the openings of river channels—sharks tend to hang out here. 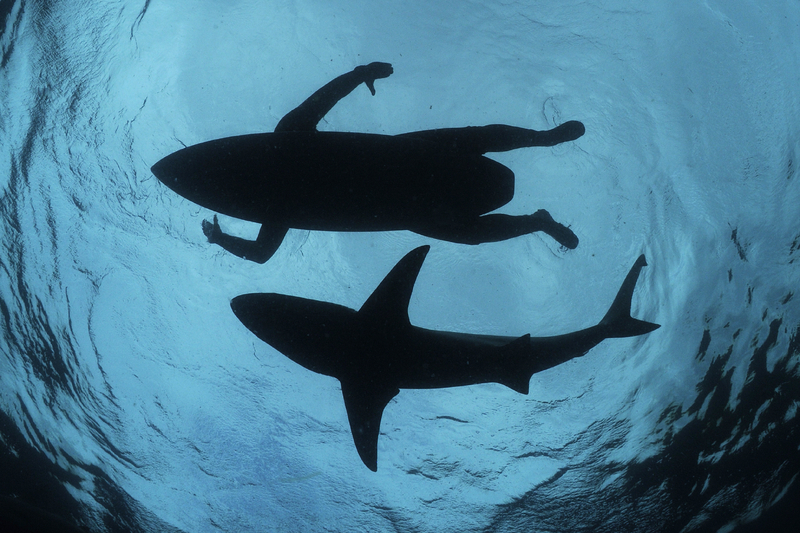 Shark bites can range from fairly mild to horrific—depending on the size of the shark and the severity of the attack. The shark’s teeth will go through flesh like a saw through butter, and they can cause puncture wounds and moderate to severe lacerations. Avulsions occur when a chunk of flesh is entirely removed from the body—these can be the most severe and life-threatening injuries. Broken bones may also occur. 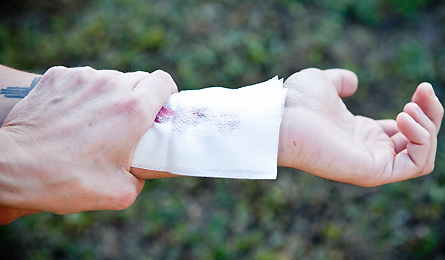 Put pressure directly on the wound, using gauze, a towel, or any other available cloth. If the wound is an avulsion, you may have to put pressure on exposed muscle or fat tissue—this may be necessary to save the victim’s life. If the bleeding doesn’t stop, do not remove the cloth—instead, add more. Elevate the bleeding limb above the heart, and press down on pressure points to further slow the bleeding. Pressure points occur in parts of the body where your blood vessels are near the surface. If you press down on these points, you can slow severe bleeding. You will need to pick a pressure point between the wound and the heart. The most common areas for pressure parts are on the arm between the elbow and the shoulder; at the groin along the bikini line; and behind the knee. A tourniquet is another option, but this should be used only in dire circumstances—such as when emergency help either isn’t coming or will take a very long time. Tourniquets could save a victim’s life, but sometimes at the expense of severely injuring or even losing a limb. 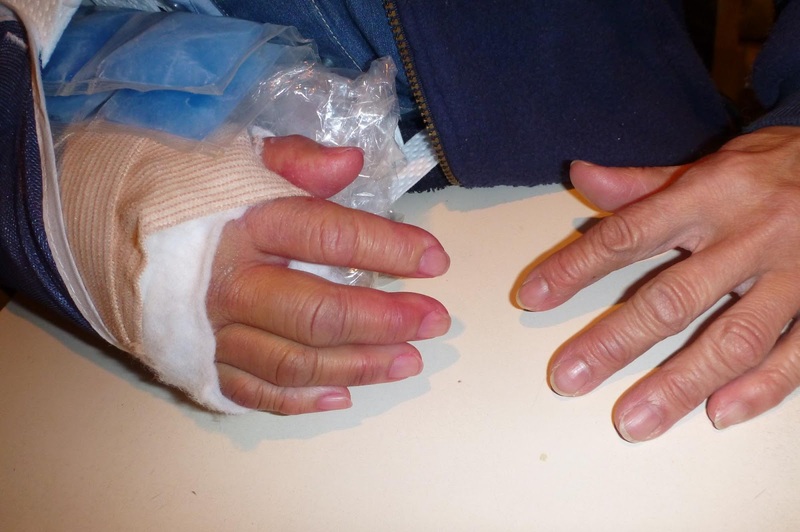 To apply a tourniquet, wrap a non-stretchy material—such as linen or terry cloth—around the injured limb. Put a stick through the bandage as shown, and twist it to tighten it. If the bleeding continues, tighten the tourniquet further. Remember, this measure should not be used unless the choice must be made between losing a limb and losing a life. Only use a tourniquet in the most dire of circumstances. Shock occurs when blood flow to the brain is impeded due to severe injury. Shock is a dangerous condition in itself and can lead to death. The first step is always to control the bleeding, but if you have, and the victim is breathing and does not have a broken spine, you can begin treating for shock. Lay the victim on their back and elevate their legs above their head. Keep the victim warm; use blankets, dry towels, or anything else you can. Shark jaws are extremely strong and can crush bones as well as causing puncture wounds. If this is the case, do not try to straighten a deformed limb. Pad the injury to keep it from moving, and put ice on the padding to keep the swelling down—never put ice or an ice pack directly on the skin. Remove ice for twenty minutes after putting it on for twenty minutes to give the skin a break. Give the victim ibuprofen if possible to control the swelling, and elevate the limb. Not all shark bites are fatal—and some are relatively moderate. However, if a shark bite happens, call 911 immediately. The victim of a shark attack may still need treatment for shock even if the wound is not deep. 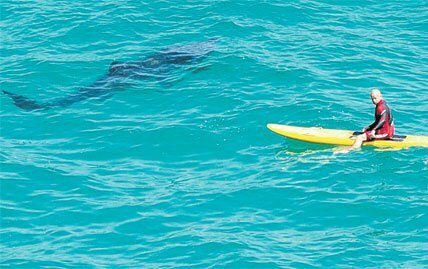 Shark attacks are extremely unlikely to happen—but being prepared could ease your mind and, in very rare circumstances, save a life.